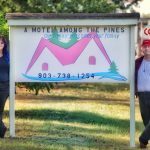 Contact: Mark & Debra Elam 8880 FM 729 Avinger, TX 75630 Phone: (903) 601-0904 Fax: Email: melam59@yahoo.com Website: Facebook: 6 cabins, Cabins sleep 2-4 people. Hot plates, microwave, dishes,pans, utensils. House 2Br 2 bath. 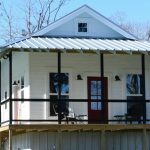 This cozy cabin is located on Lake O’ the Pines, yet is only a 10 minute drive to Historic Jefferson, Texas, making it an ideal vacation spot for fisherman, families and shoppers alike. On the North Shore of Lake O’ the Pines in East Texas’ Piney Woods, Granger Cottage is a chic, lakeside, vacation rental home styled after a Southern Living® house. It includes 3 BR, 2.5 BA, fireplace, deck, screened porch, fully stocked kitchen, gas grill, and satellite TV. Granger Cottage guests rave about the peace and quiet, the wildlife, fishing from our 88’ dock, and spending relaxing times with family and friends. 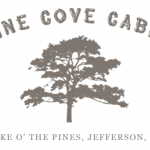 Located on beautiful Lake O’ The Pines in the Piney Woods of east Texas. This 38 acre private vacation rental home that sleeps 16 is on a hill that is the highest point on Lake O’ The Pines. Amenities include 38 acres privately gated, 40 ft in ground pool with spa, furnished kitchen, game room with pool table, volleyball court, and fireplace. Four 50 amp RV hookups with water are available. Ashley Mountain is perfect for women’s getaways, family vacations and reunions,weddings, company picnics and parties, or your own private retreat. Come make your own memories at the mountain! Pine Hollow, Shady Hollow, and Fox Hollow are located next to each other. Rent them all for larger groups. Canoe & paddle boat available for rental. 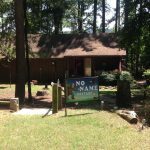 These vacation rentals, located in beautiful east Texas, are a great place for a vacation or weekend getaway.